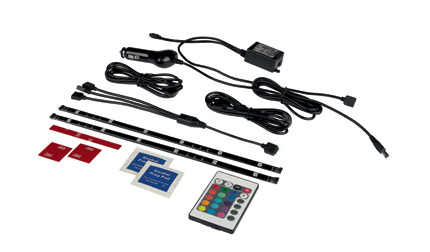 Ambient LED interior lighting to help express your individuality and let your creativity shine. 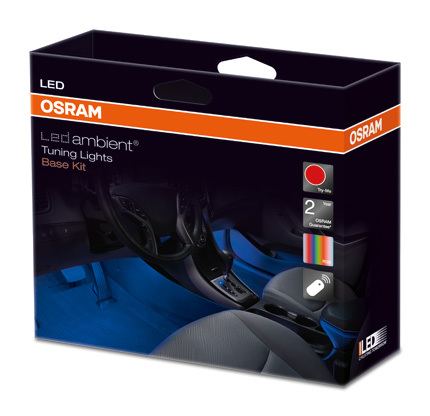 The OSRAM LEDambient® Tuning Light Kit is easy to install and has 16 colours, 5 modes (Flash, Strobe, Fade, Smooth, Solid), a 12-volt adapter for 'plug & play' ease, an additional power cable for optional hardwiring and a wireless remote so you can easily create any ambience for your car’s interior. 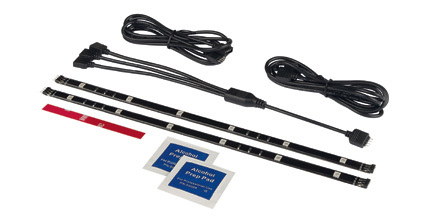 There is a 'base' kit and an 'extension' kit available. 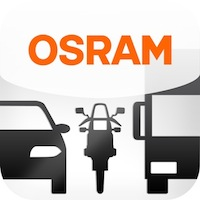 Check out the Tuning Lights Installation Video on YouTube. 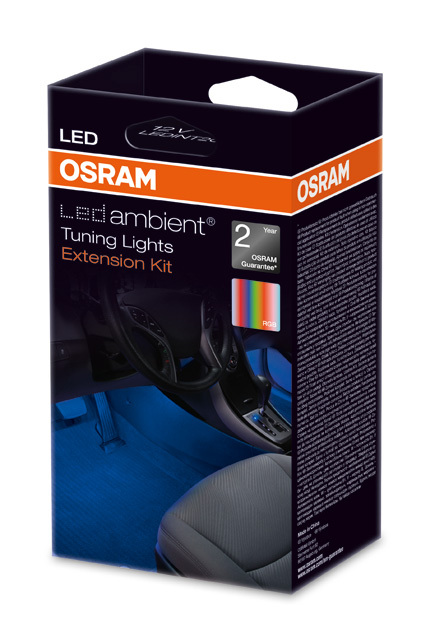 Osram LEDambient® Tuning Light Extension Kit - allows easy expansion of LEDambient Tuning Lights in your vehicle.